Yesterday we shared some of our favorite gifts for moms, and today we switch it back to the kids. Because let's be honest - Christmas is all about the kids. We know everyone has heard of some of the season's hottest gifts for kids already. You can't turn around without hearing about the craze that is The Hatchimals. And children of the 80's are rejoicing everywhere as Target has brought back the original Nintendo. 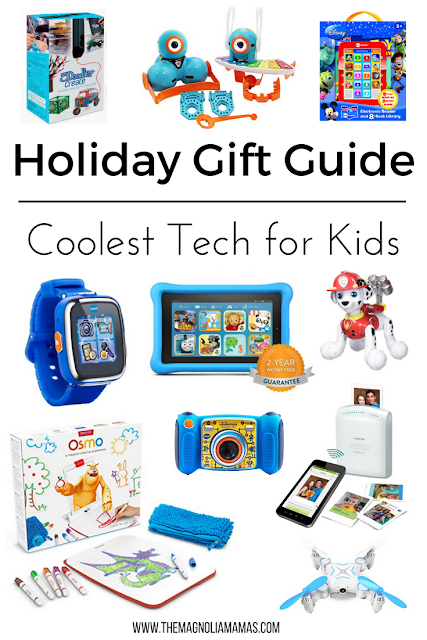 But we're here to share some of our favorite tech gifts for kids that you might not have heard about. Our kids absolutely love anything STEM or tech related. We've seen our fair share of toys, but these all pass their "will play with it more than once" requirement. Most of these we own already, and have already been huge hits with our crews. Others are on Santa's list this year. Here's hoping this list gives you a little inspiration. Especially, if you've already been running around frantically from store to store, while simultaneously brokering a deal on Ebay for the egg craze of 2016 - and it still might not happen. 3Doodler 3D Pen - It took us a moment to wrap our minds around a 3D pen, but once we saw it in action it was amazing. The 3Doodler Pen brings littles ones imagination and art to life in such a fun and unique way. This gift would work best for children in late elementary school and even into middle and high school. 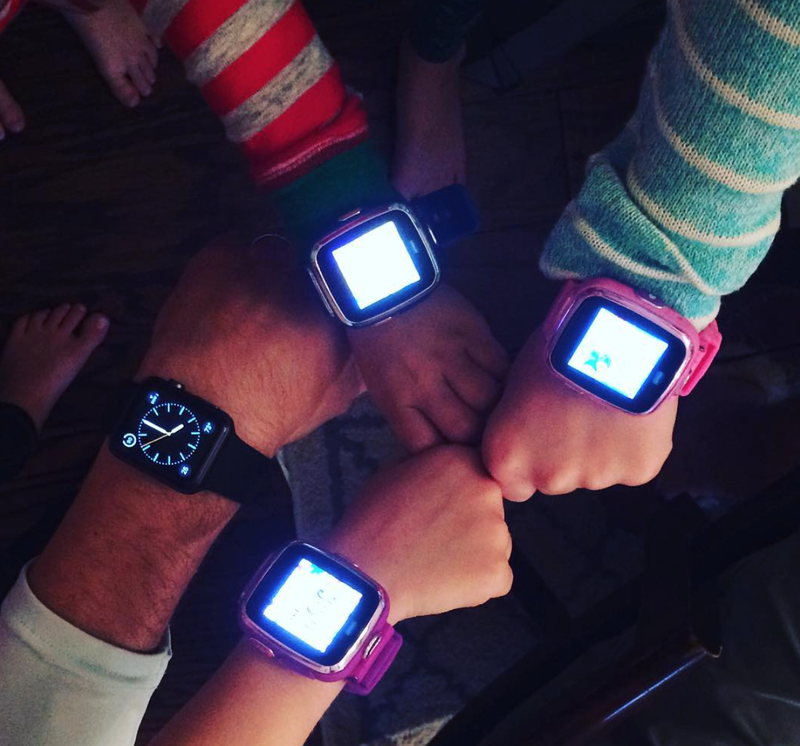 VTech Smart Watch - Last year we both gave these fun kid friendly smart watches to our children - and they've loved them. They think it is so neat to message one another, take pics, and play games all from their wrist - just like dad's (sort of.)! Amazon Fire Kids - Speaking of smart things...the Amazon Fire Kids Edition is one of our favorite gifts. Think of it as the gateway tablet for your kids. It's perfectly geared for them in mind, from the case its enclosed in to the access and apps available. It has everything they need all in one without the worry of the features you don't need/want them to mess with. Coming in at under $100 it's the perfect kids tablet. Robot Animals - Last year when Cute asked for a robot dinosaur, we (1) didn't know such a thing existed (it does), and (2) didn't realize he would love it so much. This year robot animals are all the hit and we love the Paw Patrol ones for the younger set. They move, interact, talk, and provide hours of entertainment - which is key! 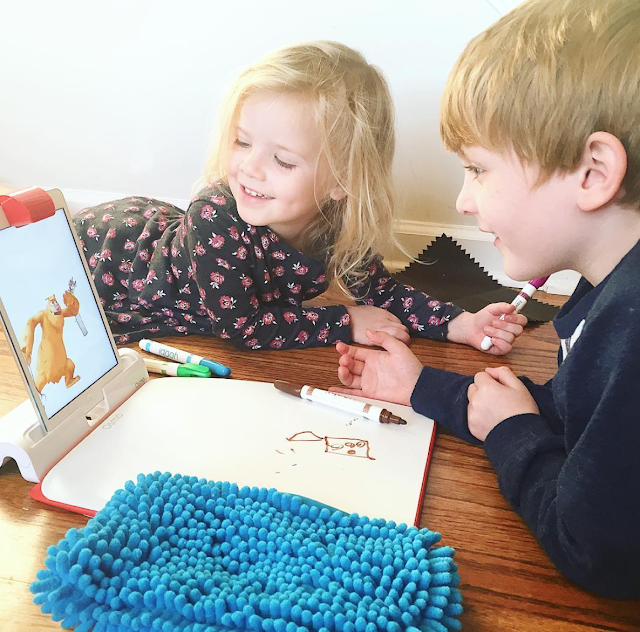 Osmo Game Systems - Hands down this has to be one of the coolest toys we've tested this year. The Osmo Games are all STEM based activities that your little one can play on the iPad. Each interactive game is unique and coordinates with an app. We've been amazed at the level of personalized interaction this game provides our little ones and they absolutely LOVE them. Our favorite so far is the Creative Kit. Drones - Your little one will get a huge hit seeing how high they can make their own personal drone go, and what they are able to capture with it's 360 degree camera. This easier to navigate and slightly tougher pint-sized version is perfect for gifting under the tree. Electronic Reader Sets - These are the perfect little book sets for a young child or a beginning reader. Baby Cute received the Frozen set for her birthday this past year, and both the kids love reading these little stories. Each page is specially picture coded to a graphic on the reader, so your little one is easily in control and able to follow along. There are so many fun sets - from Spiderman to Eric Carle, your little reader will be covered. Dash & Dot - We've already mentioned robots are a huge hit this year, now meet the adorable Dash & Dot. These cute little guys are fully functioning robots that your little one control and interact with. They do anything your little one programs them to - dance, sing, deliver messages. Quite simply the coolest coding toy ever made! V-Tech Digital Camera - All of our kids (minus Baby Cute) so far have owned one of the V-Tech Digital Cameras, and it just might be one of our favorite toys ever. They see us taking pictures of them all day long and want to get in on the fun, and this was a great way to introduce them to the world of photography. We love downloading their photos and seeing the world through their eyes. Such a fun toy, and a great toy to bring on family vacations too! Smart Phone Printer - This is a gift we know we already know we are going to want to steal from the kids. The Fugifilm Instax Share Smartphone Printer is the perfect gift for the Tween or Teen who is already smartphone savvy (and lets be honest, already knows how to take a million photos and selfies). They will get a huge kick out of being able to instantly print their photos. Mommy might print one or two herself. 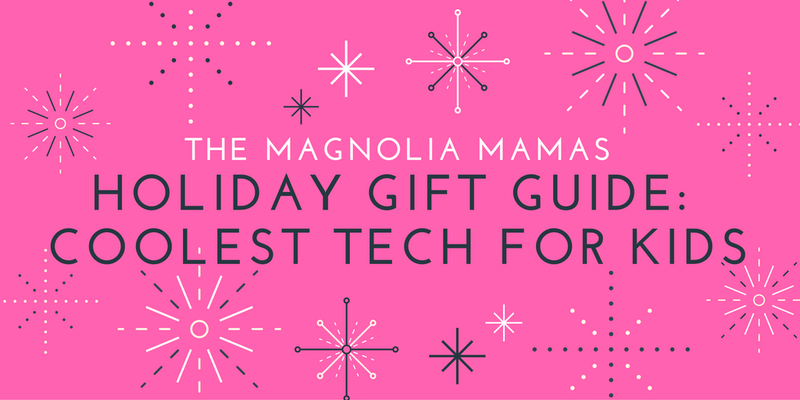 What tech gift is at the top of your child's list this year?